Shakespeare & Co. Booksellers: Only the best picture ever. Only the best picture ever. 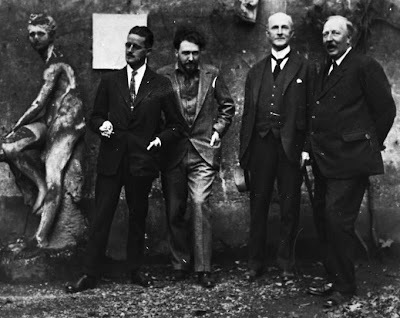 From left to right: James Joyce, Ezra Pound, John Quinn and Ford Madox Ford in Paris, 1923.